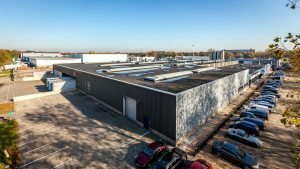 Tilburg 15 March 2018 – A private investor has acquired a fully let industrial property at Zevenheuvelenweg 9 in Tilburg from a real estate C.V. The property with a total lettable area of over 9,200 sq. m. will be leased to Weener Plastic Packaging Group for a period of 10 years. Weener Plastic is a full-service global supplier of innovative plastic packaging solutions. In addition to the head office in Ede and the production location in Tilburg, Weener Plastic has 23 facilities in 16 countries around the world. The buyer has been consulted by Rotsvast Breda and the seller was advised by INDUSTRIAL real estate partners.